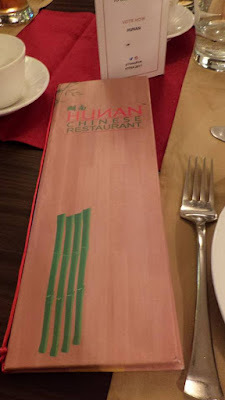 Hunan, this Chinese restaurant has some memories with me. 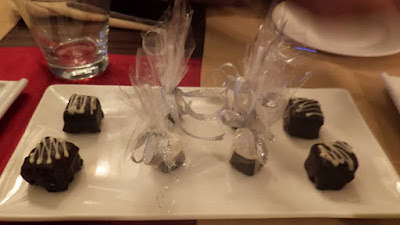 I was one of their first guest when they had opened their restaurant, also I did bring in my birthday at this restaurant with their 5-course anniversary meal. This visit was special as I was part of the preview of the new items on their menu. 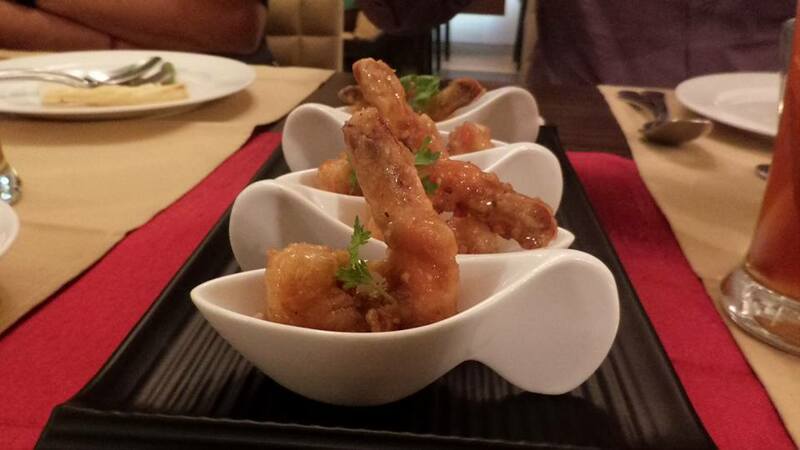 Hold your breathe, 70 new dishes are included to their menu which are not just healthy but most of these dishes are gluten-free, crafted by Chef Pema Takchung Lepchaand and the owner Jagdish M Menda. 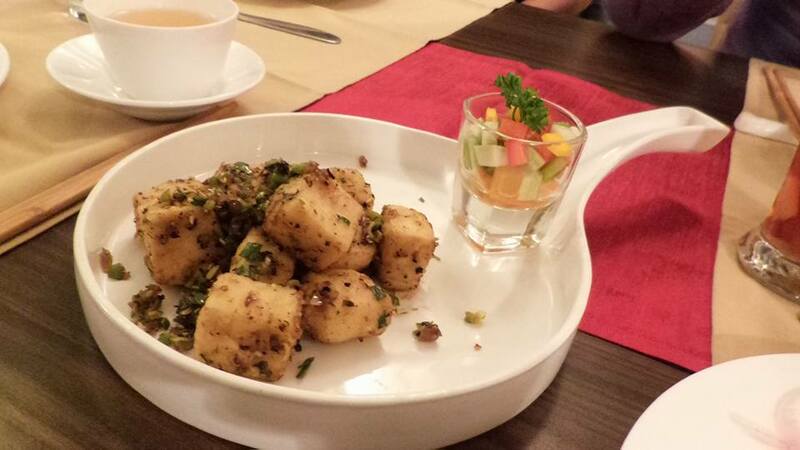 We tasted some of these dishes and most were loved by everyone. 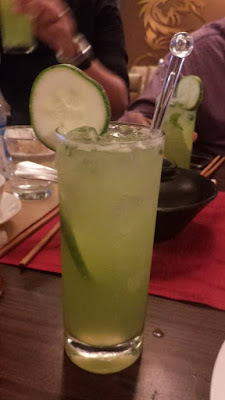 Though I missed my favourite soups to start my meal with, I refreshed myself with lemongrass iced-tea which was so different from the usual lemon iced-tea, followed by a Cucumber cooler. 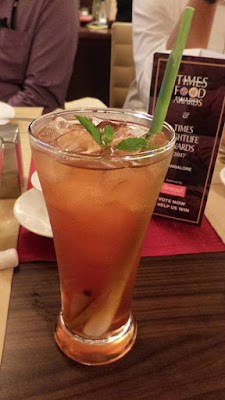 Also, we sipped on Jasmine tea. 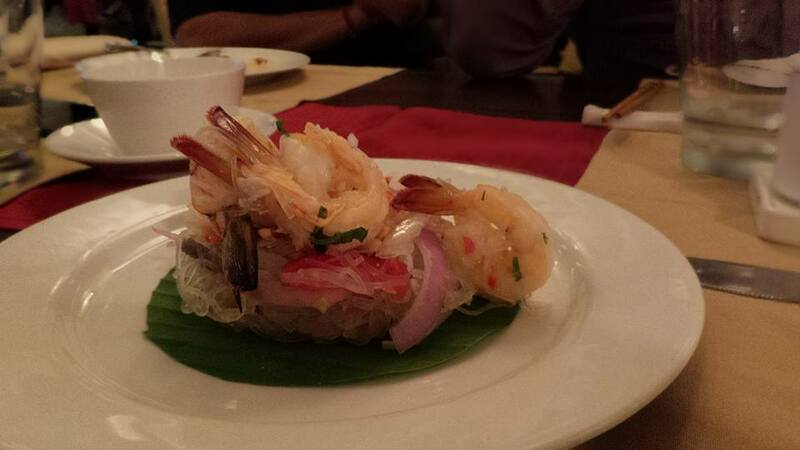 2 salad's were served - Asian flavor Chicken salad & Thai seafood and rice vermicelli salad. Both were very good and choosing one would be difficult. 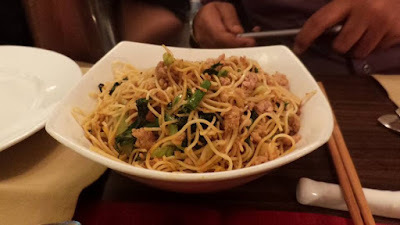 Asian flavor Chicken salad had fresh ingredients like carrot, red cabbage, shredded chicken, spring onion tossed with peanut butter and vinaigrette dressing while Thai seafood and rice vermicelli salad had rice vermicelli with prawn, fish, squid in delicious lime and sweet chilli dressing. 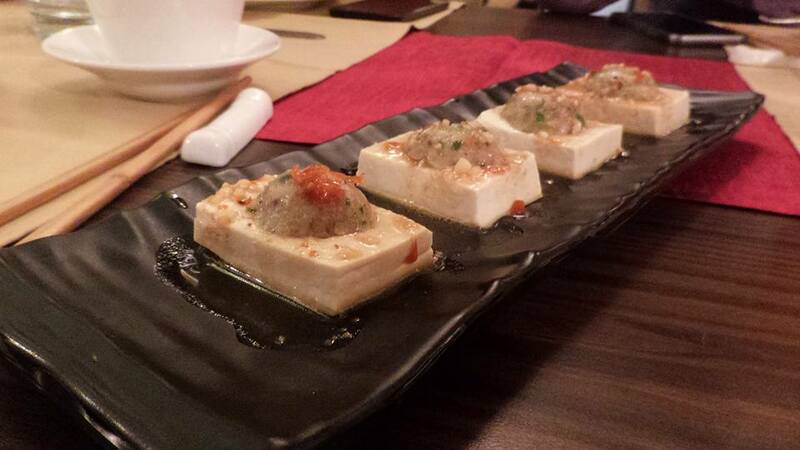 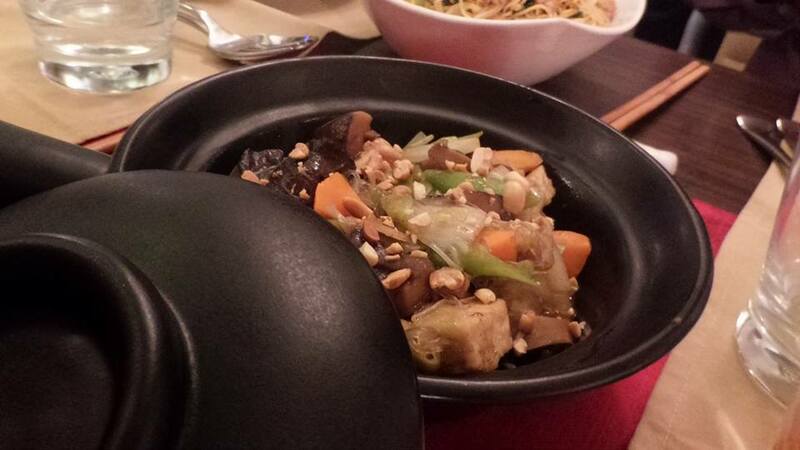 Next were steamed dishes - Hong Kong styled steamed Seer Fish and Asian Style Stuffed Tofu with Chicken. 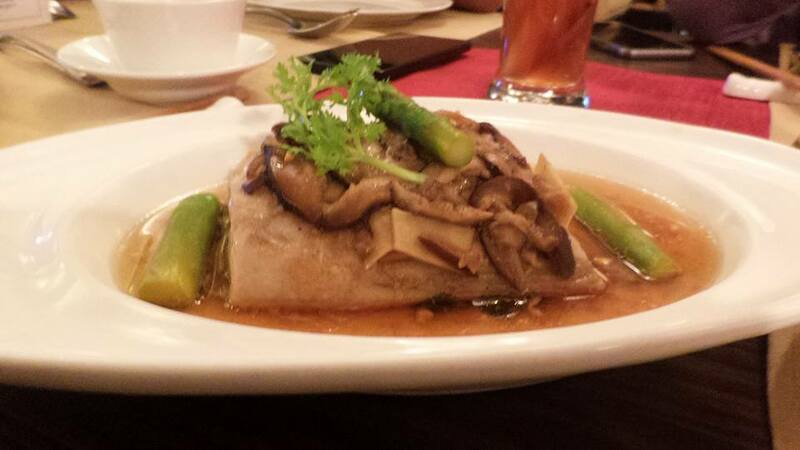 Steamed Seer Fish was served with vegetables and ginger - coriander broth. I have not been a tofu fan but this dish took me by surprise, tofu was very soft and with a dash of chicken, it was a perfect side dish, cant stop at one. 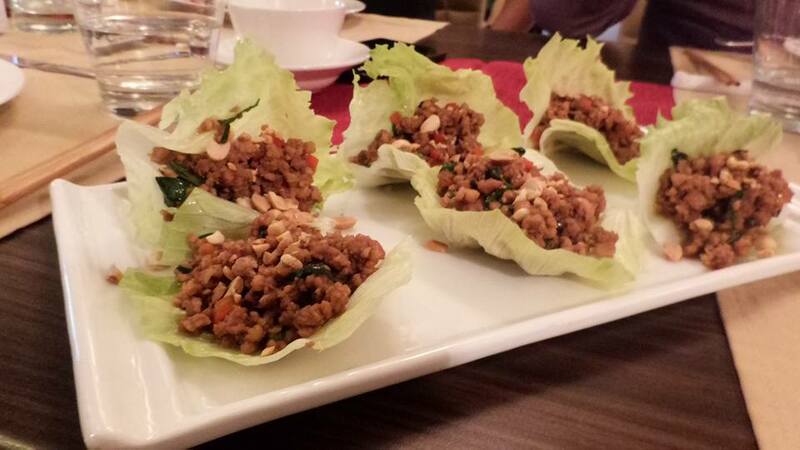 Next came the starters, Chicken Hot Basil which had finely chopped chicken with bird's eye chilli, basil, garlic, served in a lettuce cup. I am a lettuce fan and despite having bird's eye chilli, it wasn't very spicy but nice blend of flavors. 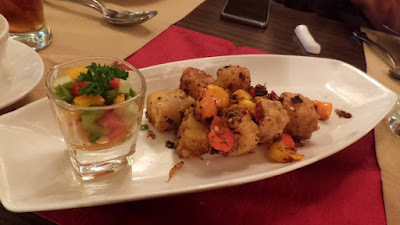 Salt and pepper silken Tofu & Fried Corn Curd Chili Pepper looked the same but as I loved the tofu in the steamed dish, I preferred the fried corn curd chili pepper. 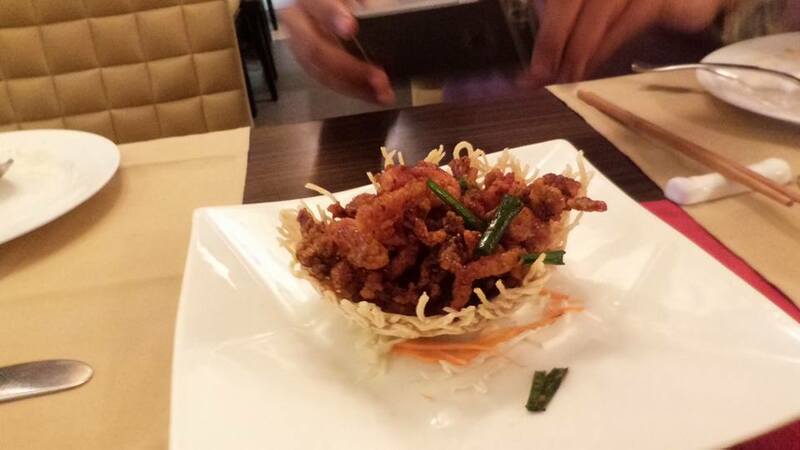 Fried Chili Prawns with Tamarind Sauce was next served which had fresh red chili, garlic, fish sauce and coriander. 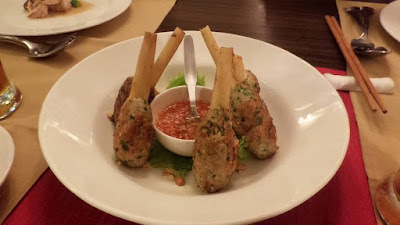 Sugarcane skewered Chicken were also done well but it wasn't a dish I tasted for the first time. 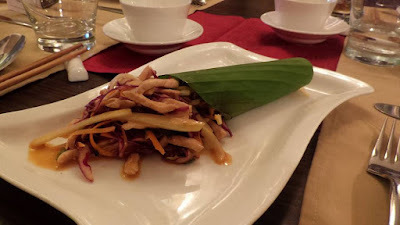 Shredded Pork Beijing Style wasn't tasted but most of the people who had this did not find this an unusual dish. For Main course, Raw Mango chili fish which had stir-fried fish with green mango sauce, I enjoyed these with steamed rice ut it was tasty enough that I forgot to click it. 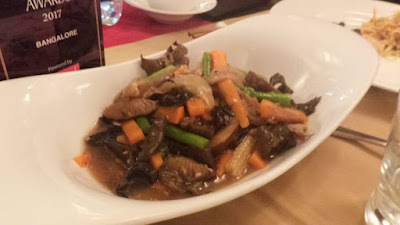 Assorted vegetables in chili oyster sauce is one veg dish I enjoyed which had white and black wood ear, bamboo shoot, asparagus, carrot, baby corn, black mushroom in chili oyster sauce. Next was Lo Han Jai, again a veg dish which had tofu, chines cabbage, vermicelli noodles, mushroom, bamboo shoot, leek sauteed in a shaoxing wine sauce. 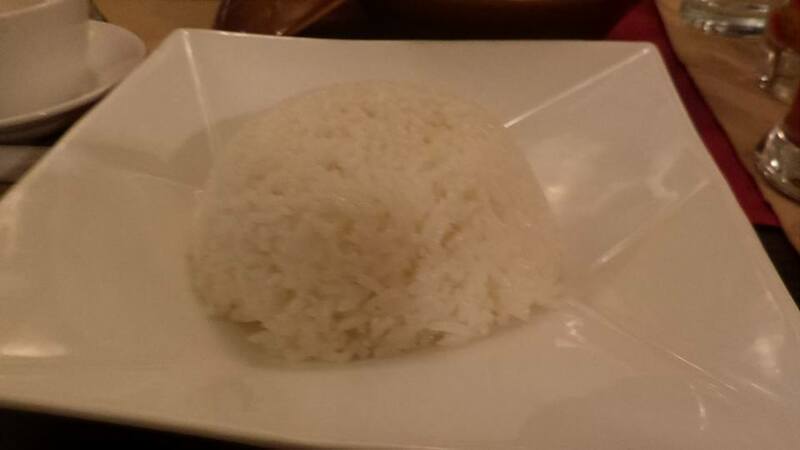 You also have 'Meal by itself' option too for single diners or for those who do not want to binge more. 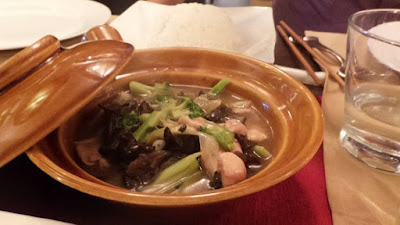 Chicken Peking Noodles was enjoyed and the second option was Chicken stew with black wood ear, a classic cantonese style stir-fry chicken with wood ear mushroom served with sticky rice. I loved both and may try the other meal by itself options when I dine again. Desserts are a must try at Hunan, because Jagdish's mother makes them with all the love. 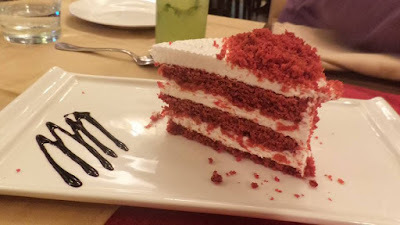 2 desserts were served, Red-velvet cake which is a must try at Hunan, any one who is not fan of red velvet cake should try it here for them to love it, I am one of the example for it. 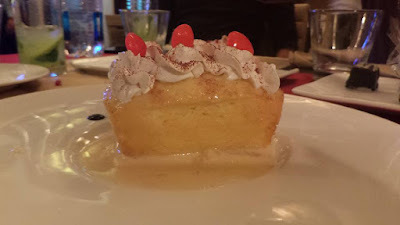 Second one was Tres Leches, a sponge cake soaked with three types of milk- evaporated milk, condensed milk and heavy cream. Both the desserts take you to a trip of heaven. I can never say no to desserts at this place.